Below you see a diagram of three waves. The top wave oscillates exactly 10 times in the time interval shown. However the one underneath it is vibrating slightly faster, completing exactly 12 oscillations in the same amount of time. The third diagram shows the sum of the two waves. As you can see, there are times when the two waves are in phase with each other, causing maximum constructive interference. There are also two times when they are 180 degrees out of phase causing maximum destructive interference. Below is an animation of how that would evolve in time. 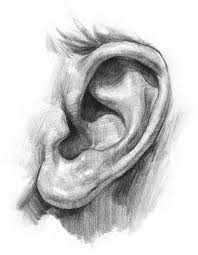 Before proceeding, consider the following question: If your ear were to the right, how would that sound to you? Predict what you would hear. Set the frequency of one generator to 440 Hertz. Click PLAY to hear the tone. Click STOP to stop the tone. Set the frequency of the other generator to 441 Hertz. Click PLAY hear the tone. Click STOP to stop the tone. Now PLAY both tones simultaneously. What do you hear that is different? What you are hearing is called BEATS. Try the experiment leaving the first frequency at 440 Hz but setting the second frequency to 442, 443, 445, 500 and note what you observe.